Florida Institute of Technology’s Foosaner Art Museum presents “A Tribute to Oppler and Impressionism: The Art of Intaglio Printmaking” with Serhat Tanyolacar, Nov. 2 and Nov. 9, from 9 a.m. to 4 p.m. at the Renee Foosaner Education Center. Tanyolacar will teach students the techniques of dry point, image transfer, line etching and aquatint. The class is intended to enrich the Ernst Oppler: German Impressionist exhibition. He said, “As an artist, my intention is always to bring social awareness and social change through provocation and public dialogue by deploying my works strategically to engage viewers in critical inquiry of economic, social and political issues. From Turkey, Tanyolacar studied at Bilkent University there before earning a bachelor’s degree in fine arts from Austin Peay State University in Tennessee and a master of fine arts degree from the University of South Florida. 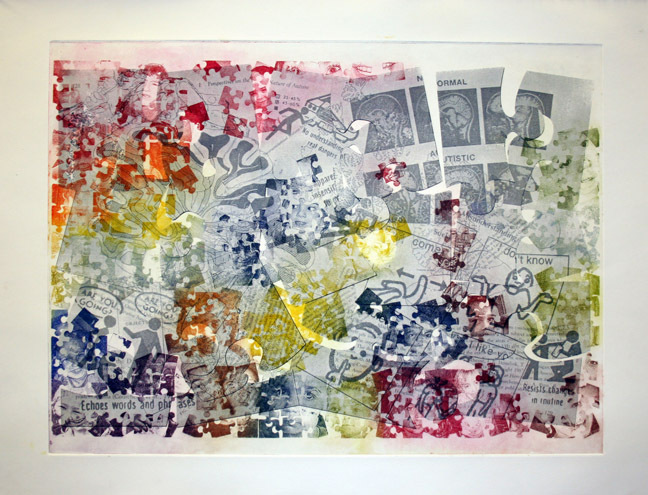 He taught printmaking for the College of Art at the University of South Florida and, over the last decade, his works have been featured in numerous gallery exhibitions. The course is for intermediate art students who should have a basic knowledge of drawing and printmaking. The cost is $260 for the general public; $230 for Foosaner Museum members; and free to full-time Florida Tech students. There is an additional cost for supplies; class size is limited to 10 participants. Participants may register online at foosanerartmuseum.org or by phone with a credit card by calling (321) 254-7782. Founded at the dawn of the Space Race in 1958, Florida Tech is the only independent, technological university in the Southeast. The university has been named a Barron's Guide “Best Buy” in College Education, designated a Tier One Best National University in U.S. News & World Report, and is one of just nine schools in Florida lauded by the 2012 Fiske Guide to Colleges and recognized by Bloomberg Businessweek as the best college for return on investment in Florida. A recent survey by PayScale.com ranks Florida Tech as the top university in Florida for salary potential. The university offers undergraduate, graduate and doctoral programs. Fields of study include science, engineering, aeronautics, business, humanities, mathematics, psychology, communication and education. Additional information is available online at www.fit.edu.